After calling the 800 number listed on the package, I was informed it was 2700K -- which is quite yellow to our eyes. What impressed me about the new bulb was that it was built like a flood light, with an internal reflector. If you looked closely, the spiral coil like the previous bulb was visible inside. This bulb was sealed and looked very easy to wipe off when necessary. Plus, I could remove the metal reflector I was currently using. By doing that, I removed the trapped heat that occasionally caused the old bulb to overheat and shut down. 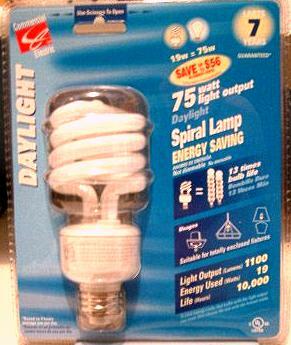 Both bulbs will last for years according to the manufacturer, but replacing them every 4 to 6 months would be best. 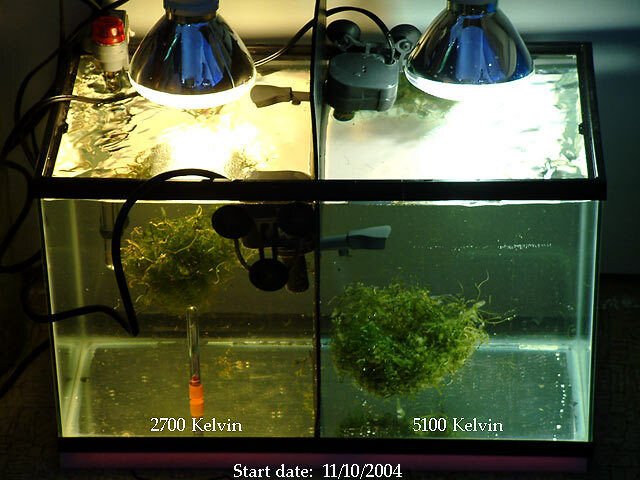 I switched to the newer bulb for three months, and observed closely how my macro algae responded to the different Kelvin. I was worried it would die back, but much to my surprise the Cheatomorpha exploded with growth. It literally fills the entire void with a dense brick of macro algae every two weeks, requiring me to prune it regularly. I also have two mangrove plants that have continued to show good growth for the past few months. This bulb does not get hot to the touch, so you won't have to worry about getting burned. I'm able to put my hand on the bulb for well over 30 seconds without pain, and I doubt they could ever be considered a fire-risk. All you need to install it is a socket and cord. 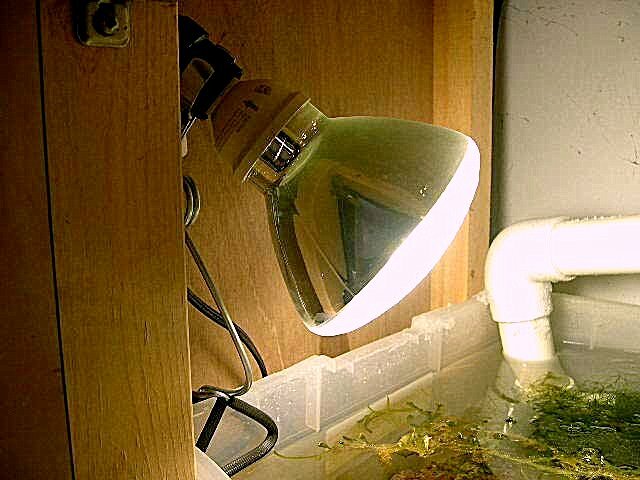 Home Depot sells a spring-loaded clamping threaded-socket for $5, so for about $15 you too can put this inexpensive light to work over your refugium. In this picture below, you can see part of the clamping light socket. It is normally sold with a small aluminum reflector that you can simply remove, since the bulb has an internal reflector. 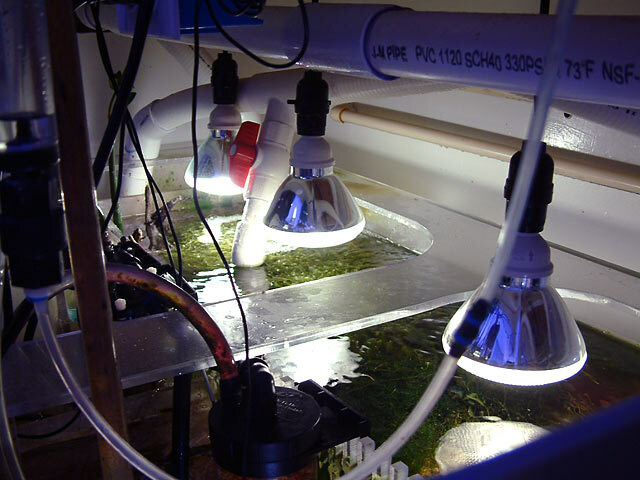 If you'd like to see what others have thought about this bulb, here is the discussion on ReefCentral. 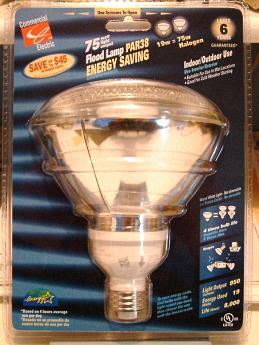 Those that have decided to try this bulb have been very satisfied. I recommend you keep the bulb approximately 4" off the surface of the water, but keep in mind how that water level may rise when the return pump is turned off. 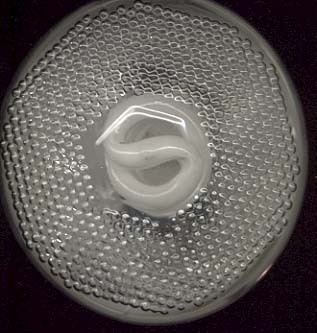 You don't want the bulb to become submerged or it just might shatter. Later it was discovered that there was a better Kelvin rating available, so I tested the 2700K bulb versus a 5100K bulb. Each side had an equal amount of cheatomorpha placed in the water, with a powerhead for each side to create equal flow. The macro on the right appears larger in this image because it is closer to the camera. 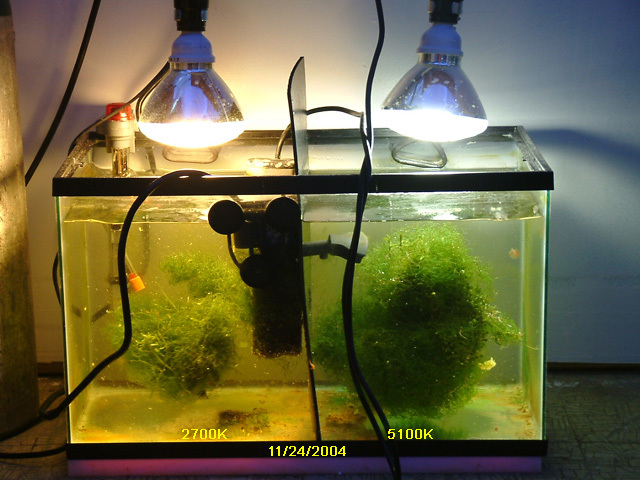 Fourteen days later, the 5100K bulb proved to be the better spectrum, with more obvious growth.. Please note the 5100K is far less yellow in appearance. So I highly recommend the 5100K bulb available online. It turns out that Technical Consumer Products is the actual manufacturer of the bulb. 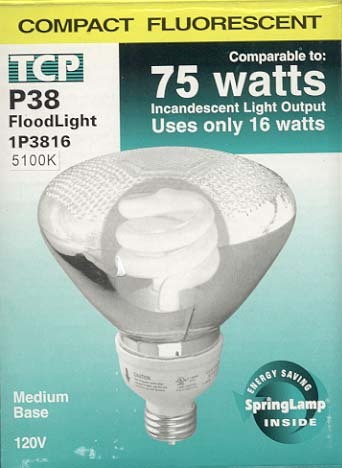 You can buy the bulb under the TCP brand name. The part number is 1P3816 5100K. 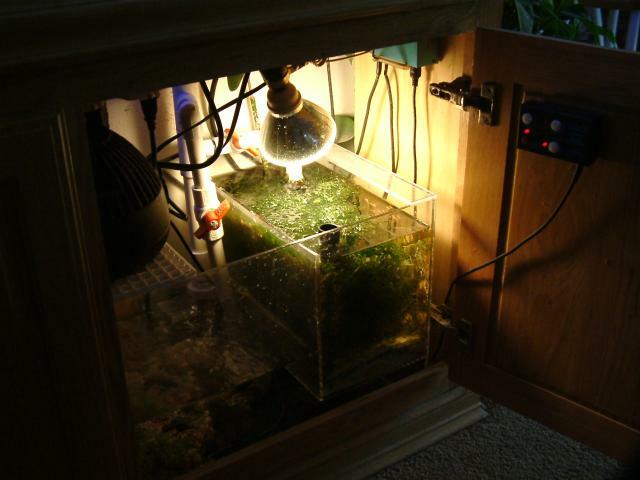 Here is how I have my lights suspended over the refugium. There is no need for reflectors. Here's a bulb you canpurchase at Home Depot. It's LED, and 5000 Kelvin. Be sure it is even with the top of your sump so it can't get wet, and I'd surround the area with sheets of black foam (At Hobby Lobby or Michael's for $0.99 a sheet) to trap the light from getting on all your other gear. 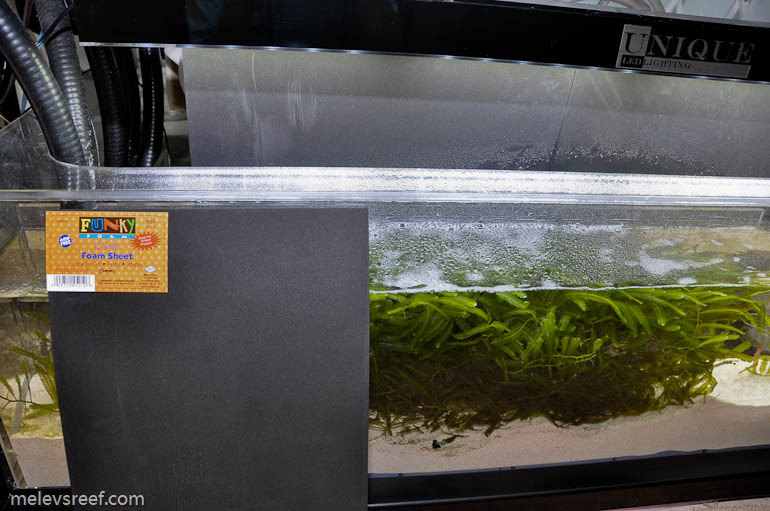 You want to light the macro algae area only to avoid nuisance algae elsewhere. Here's the foam I mentioned. 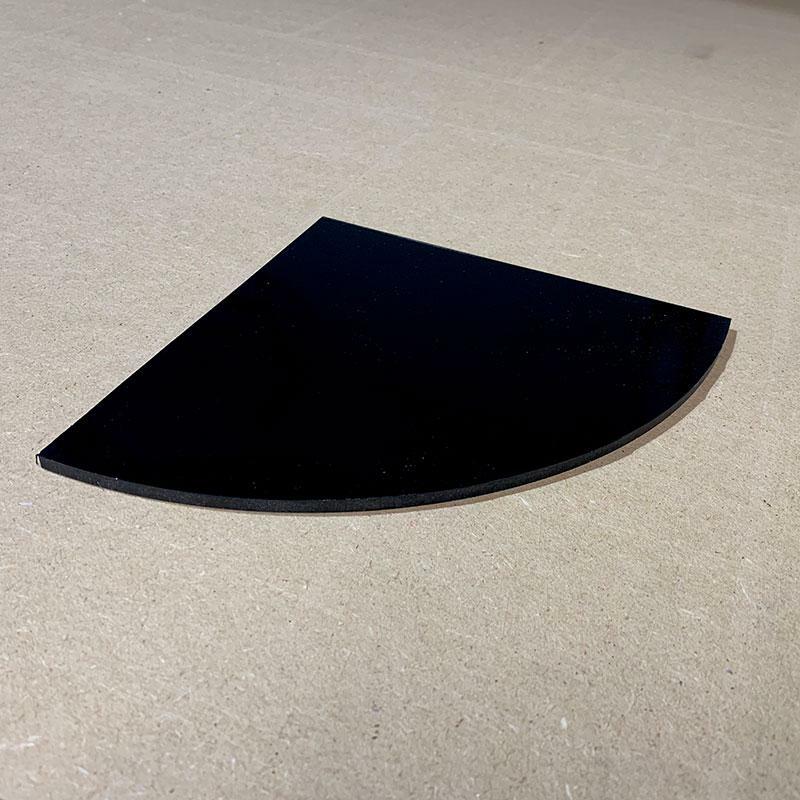 It's about the size and thickness of a placemat and can be cut with a razor blade or exacto knife. Use velcro or staple it to some type of simple framework to act like a partition or drapes, for lack of a better word. Posted 2 hours 5 min ago.